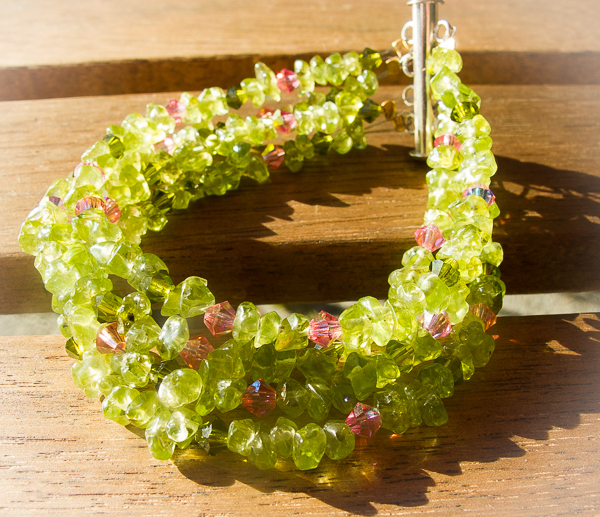 This beautiful invigorating Peridot bracelet made of tiny 3-4mm Peridot chips mixed with Olive and Rose Swarovski crystals. It has four layers and finished with slip-on silver clasp. 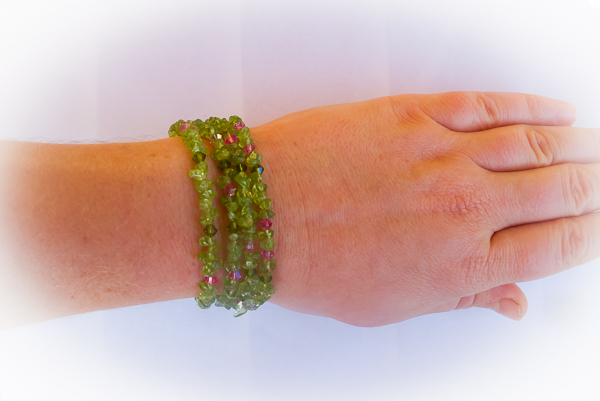 The bracelet is 7'' long. Only $54 and shipping. 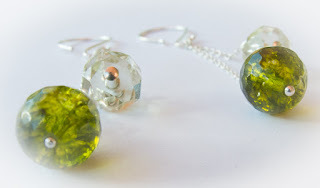 Peridot is a very powerful stone. 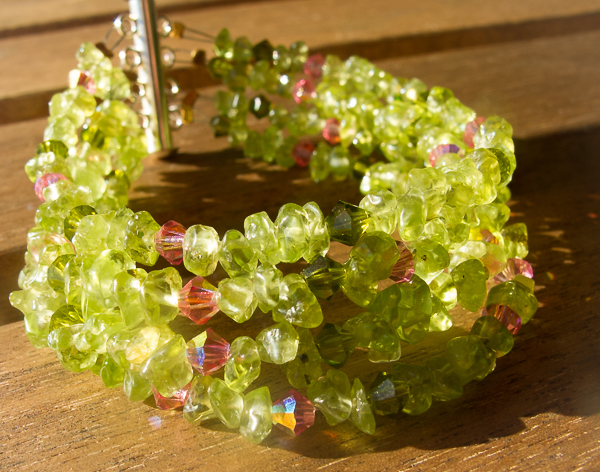 It alleviates jealousy, resentment, spite and anger, reduces stress. It enhances confidence and assertion without aggression. The stone promotes psychological clarity and well-being. It banishes lethargy, bringing to your attention all the things you have neglected consciously or unconsciously. 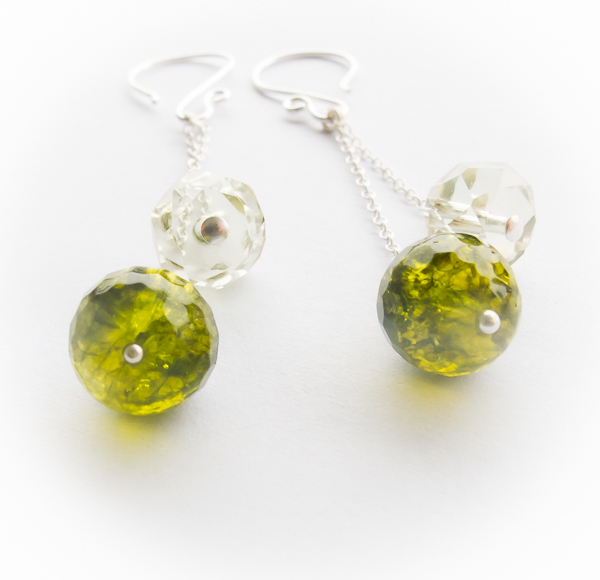 Peridot has a tonic effect. It strengthens the metabolism and benefits the skin. Its energy balances bipolar disorder and overcomes hypochondria. 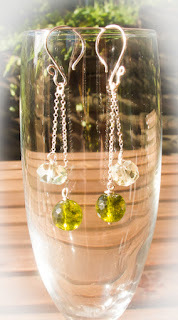 Beautiful delicate dangle sterling silver earrings. Will pair excellent with Green Quartz Bracelet and Green Quartz Ring. 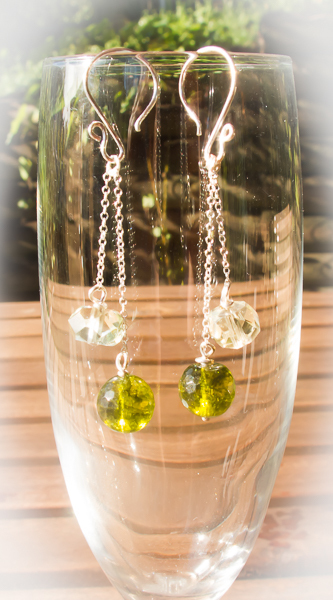 Earrings measure 2,5'' from top to bottom. Only $24 plus shipping and handling.